Legends of Learning Founder Vadim Polikov partnered with Vanderbilt University to conduct “Substantial Integration of Typical Educational Games into Extended Curricula,” a research study that explores actual implementations of short curricula games in the classroom (please find also TheCase For Short-Form, Low-Cost Educational Serious Games). The study was published in the Journal of the Learning Sciences (JLS), a leading educational research journal and one of the two official journals of the International Society of the Learning Sciences. The study is the ﬁrst of its kind to produce deep, wide-ranging, and statically signiﬁcant data across a large variety of game types. It not only validates curriculum-based games, but it does so in a large, multi-state, diverse study cohort over a signiﬁcant time period. The research study shows that when used as part of the curriculum, simple standards-aligned games increase lesson retention and student engagement, and improve academic performance. Students who played games as part of their regular curriculum outperformed their peers on both factual knowledge and depth of knowledge, while people who scored the students’ performance were unaware of which students played games to learn the lessons. Improved Test Scores. Students playing the games increased their test scores by the equivalent of half a letter grade in three weeks. Heightened Engagement. Teachers who blended their classrooms, dividing the time between typical instruction and game based learning, reported dramatic increases in student engagement. Improved Attention Spans. Teachers using the games saw normally off-task students become more focused. Proven Efficacy. Ninety-two (92) percent of teachers who used the educational games said they would like to use similar games again because of the impact on student performance and engagement. The remaining eight percent were unsure about using educational games in the future. Teachers also said they would like to use the games for more than 30 percent of classroom time, noting how the games supplemented and strengthened existing curricula. Two-thirds of the teachers also reported that the educational games made traditional instruction more effective. According to the researchers, the style of game play — digital quizzes, commercial games applied to the learning environment, or immersive games designed to help students learn — doesn’t ultimately matter. What matters is their ability to reach and teach students. Students’ reactions to the games sometimes diverged from those of their teachers and peers. While many participating students expressed enjoyment in the simpler games, teachers noted the preference occasionally oscillated between high-and low-performing students. As an example, high-performing students rated immersive games higher, whereas low-performing ones ranked them lower. Lower-performing students typically ranked simpler games, such as those employing runner, memory, or multiple-choice game mechanics, higher. The difference in receptivity suggests teachers should offer several, relevant games per learning module. Doing so would allow students to learn at their own pace and learning level. Higher-performing students would work on their investigative skills or pursue deeper understanding. Lower-performing students would see a different advantage: securing basic, foundational knowledge necessary to in-depth learning and application. The study proved eﬃcacy across a wide range of schools, both geographically and socio-economically. Students who played games understood more content than their peers taught using regular materials. The diﬀerence was the equivalent of absorbing nearly ﬁve and one half weeks of content in three weeks. Students who participated in the game-based learning study increased their test scores by an equivalent of over one half a letter grade. The study featured 55 games developed to complement standard curricula on Jacksonian Democracy. The subject matter afforded rich, flexible content with which to create core learning objectives. 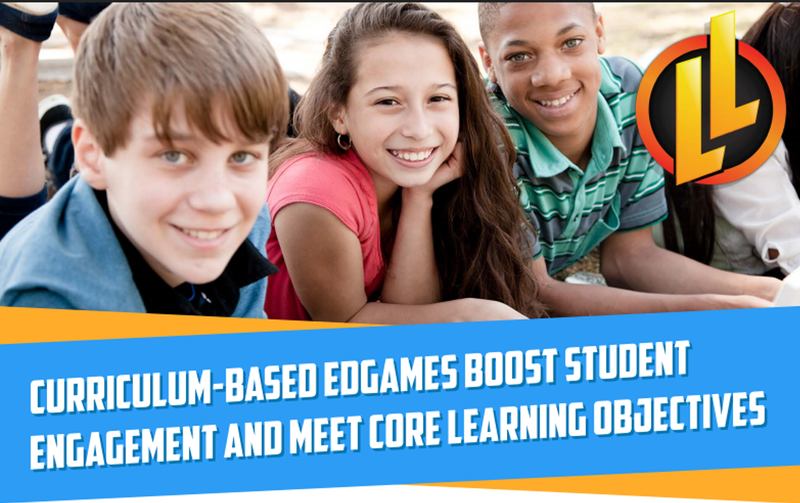 The objectives were used during game development to ensure curricula alignment and engagement during classroom implementations. The participating schools resided in seven states (Alabama, District of Columbia, Kentucky, Maryland, Missouri, New Jersey, and Rhode Island). The schools spanned diverse environments, with the schools located in urban, suburban, and rural areas. Scholastic performance in those schools varied. Twenty-two (22) percent received an A rating. Twenty-two (22) percent also received a B and 22 percent a C. Thirty-three (33) percent rated as a D.
Thirteen (13) teachers contributed to the study. They integrated the 55 games into their classrooms for a period of three weeks. Each educator taught at least one classroom with the games and one without. In classrooms with the games, teachers were required to use the games for at least 50 percent of their daily instructional time. More than 1,000 middle school students participated in the study. The students were evaluated upon several factors. 1. Baseline performance in history and social sciences classes. 2. Special statuses such as Special Education, Individualized Education Program (IEP), or English as a Second Language (ESL) or English Language Learner (ELL). 3. Their presence in a test classroom (game-integrated) or control classroom (standard instruction). The Vanderbilt study shows curricula-aligned educational games can transform learning. Teachers can use them to review curricula for testing and long-term retention, which ensures students grasp and retain the basics. 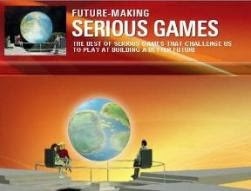 Educators can also use the games for more in-depth learning. With the games integrated into the classroom, students can build investigative skills and learn to apply their knowledge to other subjects. Finally, educational games can help students learn to think critically. They become capable of examining facts, using evidence to support their answers, and, perhaps most of all, hosting conversations that welcome critique and collaboration. 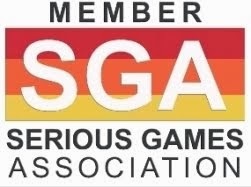 Those benefits taken together clearly demonstrate games have a significant and critical role to play in not only the classroom but also the larger game based learning marketplace.